In this edition of our 3D printing news digest – Sliced, we have news about 3D printed constructions, 2D printed electronic circuits, large-format metal 3D printer and more. Read on to learn more about DOW, Volvo, COBOD, and ANSYS. U.S Marines from the 1st Marine Logistics Group has 3D printed a concrete bridge at Camp Pendleton, California. The Marines were helped by the Army Corps of Engineers and the Marine Corps Systems Command’s (MCSC) Advanced Manufacturing Operations Cell (AMOC). A marine walks on the 3D printer bridge. Photovia U.S. Navy/Ensign Elizabeth Flanary. COBOD, a manufacturer of construction 3D printers has signed a distribution agreement with 3DVinci Creations, a Dubai-based 3D printing service bureau. 3DVinci Creations will sell Cobod’s construction systems in the UAE. 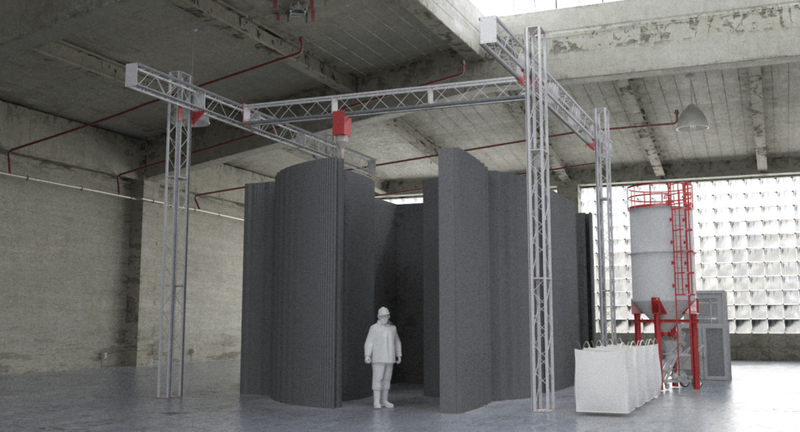 The country has set the target that by 2030 twenty-five percent of the new buildings in the UAE will be 3D printed. A BOD2-353 construction 3D printer by COBOD. Image via COBOD. A researcher at the University of Alabama at Birmingham is using nano ink with 2D printers to make brain-inspired electronic circuits. Mohammed Haider, an associate professor at the Department of Electrical and Computer Engineering, published his research called A Paper-Based Inkjet-Printed Graphene Sensor for Breathing-Flow Monitoring. 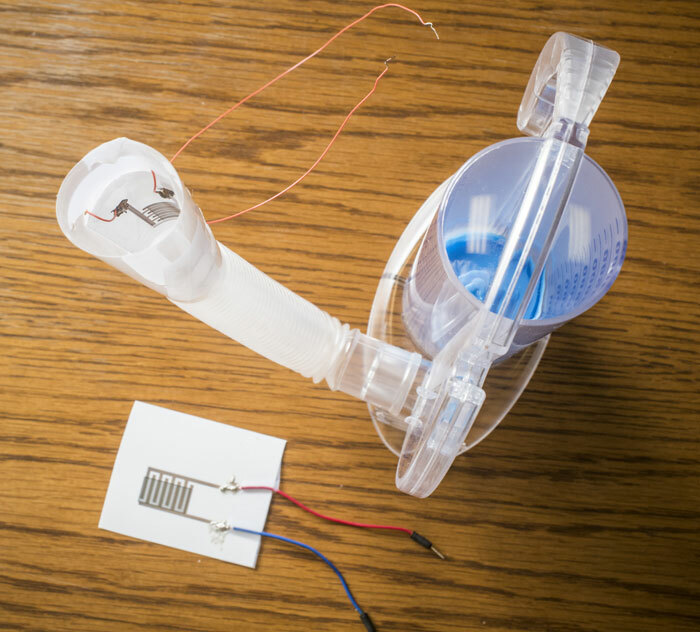 In the paper, Haider showed how circuits made with a normal inkjet 2D printers can be used to monitor breathing rates. Haider believes one day applications of these electronic circuits will be countless. An electronic circuit printed on a desktop 2D inkjet printed. Image via University of Alabama at Birmingham. Baker Hughes, a GE company (BHGE), a service company in the oil & gas sector, has set up a global additive manufacturing technology network. The goal is to bring production closer to the customers in order to reduce transportation costs and CO2 emissions related thereof. By 2030, BHGE’s hopes to reduce CO2 emission by 50%. Volvo, the Swedish car manufacturer, collaborated with Sydney Institute of Marine Science and Reef Design Lab, to build a dam wall of structures that absorbs and filters pollutants. The wall consists of fifty tiles which mimic the root structure of mangrove trees. The tiles were made using a 3D printed mold and recyclable plastic. Three industry leaders have come together to introduce an experimental footwear customization project called QUANT-U. Dow, a materials manufacturer and research corporation, the French software Dassault Systèmes, and Danish shoe manufacturer ECCO will cooperate on the project. The collaborative venture is made possible by the development of an innovative silicone-based elastic 3D printing material by DOW, the SILASTIC 3D 3335 Liquid Silicone Rubber (LSR). Products made with the SILASTIC 3D are water-resistant, breathable and machine washable. 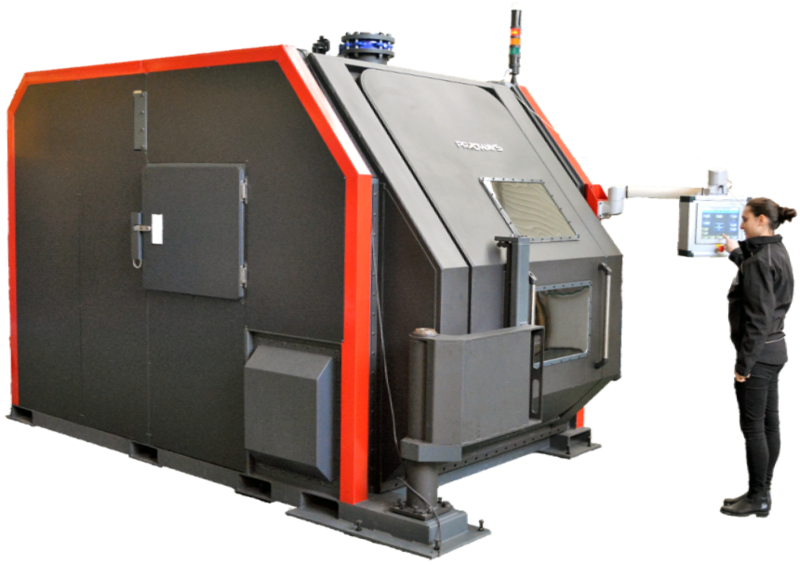 Prodways, a French 3D printer manufacturer, has announced that it has made a second sale of its large-format metal 3D printer, the Promaker RAF 50. Rapid Additive Forging technology. The Promaker RAF 50 can 3D print metal parts as long as two meters in size. Prodways’ ProMaker RAF metal 3D printer. Image via Prodways. Dansk AM hub, Denmark’s technology cluster, has released a report that shows that companies which use 3D printing technologies in Denmark are the most innovative. It was reported that about 25% of companies use additive manufacturing for prototyping and other applications. According to the study, 44% of the companies using AM have shown that 3D printing technology has had a direct influence on their business model. The Manufacturing Technology Center (MTC) is holding an event to promote additive manufacturing. The ‘Mastering AM: Sharing User Experience’ workshop will take place in Coventry, on March 27. 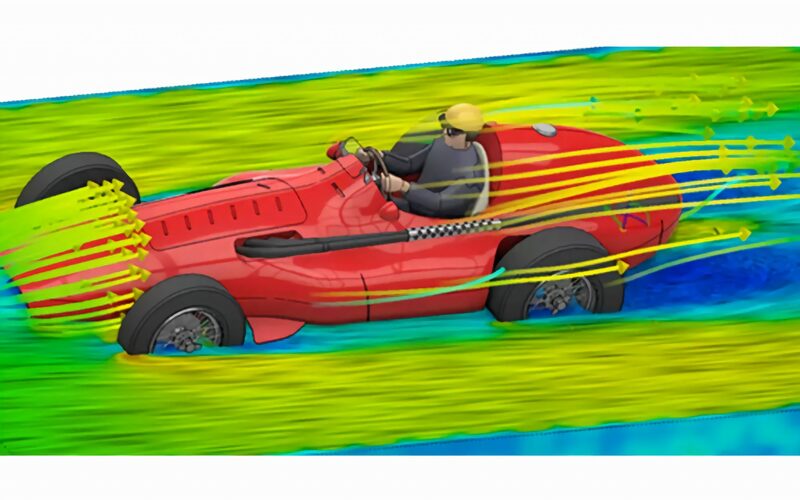 ANSYS, an engineering simulation software company, has released the ANSYS 2019 R1 version for enhanced simulation in engineering applications. The latest updates include metal additive manufacturing solutions and enhanced capabilities for 3D design. 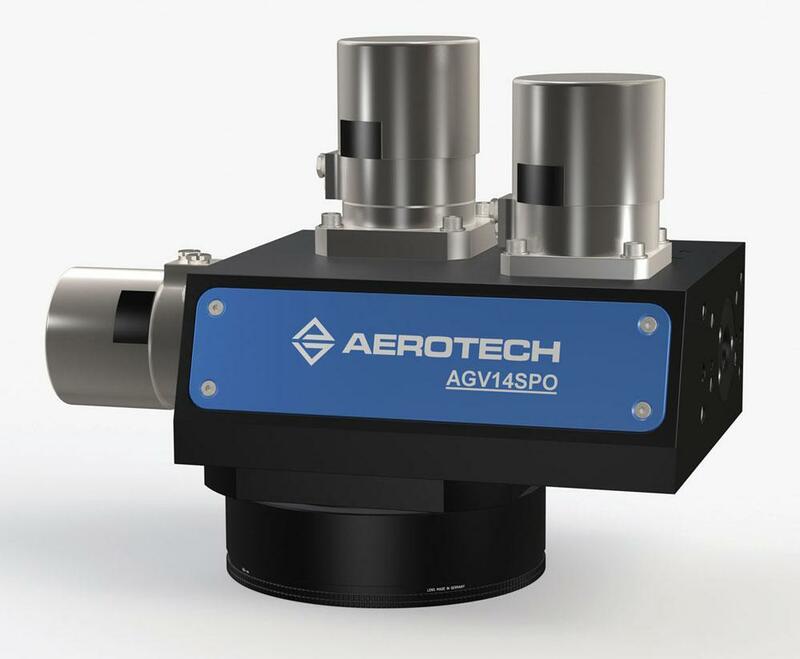 Aerotech, a Pittsburgh-based motion control devices manufacturer, has released a Galvo Scanner, the AGV-SPO. The latest laser scanner has a better field of vision than 2D scanner and has a wider range of laser wavelengths. This makes the AGV-SPO suitable for 3D printing machines and medical devices. The Aerotech Galvo Scanner. Image via Aerotech.3D Printing Awards 2019 are near. Please make your nominations. For more news on 3D printing subscribe to our 3D printing newsletter or visit us on Facebook and Twitter. Looking for a job? Visit our 3D Printing Jobs site. Featured image shows Sliced logo over the living sea wall by Volvo Sydney Institute of Marine Science and Reef Design Lab. Image via Volvo.